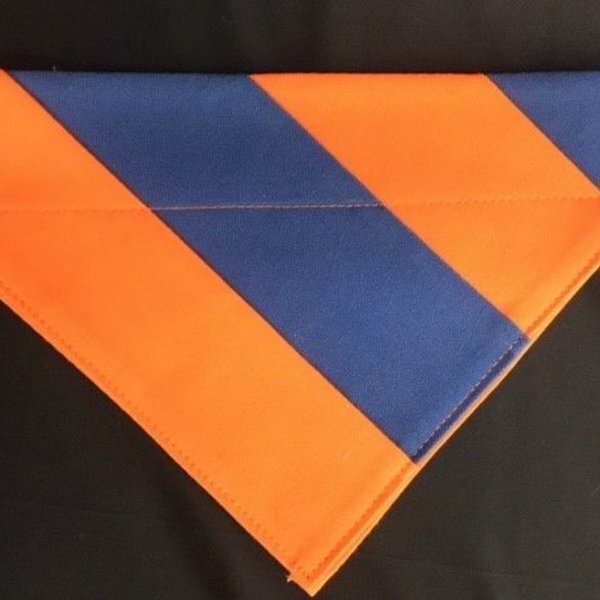 UVA Navy/Orange cape bandana that slips right on your pet's collar. Heavyweight fabric. LOVE UVA? This is the bandana for your pet! Handmade in Gordonsville by Dog In The Woods..